Recently in the South West, NHS England South SW have received a number of reports from GP Practices regarding patients who have been “cold called” by representatives of various companies. These callers (both by phone and in person), seem to know the patient’s medical history and sometimes say that this information has been obtained from the GP Practice. No GP Practice will ever divulge your medical history. Struggling to make an appointment? Please let us know if you cannot make your appointment so that we can offer it to someone else. Please also take advantage of our text reminder service and never forget another appointment. Just ask at reception and they can help! This practice is part of the local shared care record initiative. This means that from 15th November 2015 other health care professionals will be able to view your GP health record when they are providing you with care. If you wish to opt out please inform reception or complete the 'opt out' form which you can find on the Care Data section of this website (No 2 right hand side of this page) as soon as possible. If you have any concerns or questions please refer to the leaflet in the Care Data section or collect a copy from the surgery "Making your health records work better for you"
Please be assured that we are working hard within the practice to ensure that the continuing national "hiccups" with the E-Referral system are not unduly affecting patient referrals. If you have been referred and not heard anything within 16 working days of seeing your GP from DRSS , our local referral service, please contact us in the first instance to confirm that the referral was made. We have also been informed today that thousands of patients have erroneously been sent reminder letters from the national referral booking line (the letter has a password to enable you to book an appointment) please ignore this letter and contact DRSS on 01626 883888. Patient Survey on flu vaccinations for people with an at risk health condition. NHS and local authority partners across Devon and Cornwall are working to increase flu vaccination uptake in eligible groups. Around 50% of people with an at risk health conditiom already take advantage of their free flu vaccination and we're trying to find out what could increase numbers even further to better protect people this winter. For further information and to fill out the short online questionnaire click here. Invites will be sent out in due course to men aged 65 or over for the option of a quick and free NHS scan for the Peninsular Abdominal Aortic Aneurysm Screening Programme. For more information please click here. In line with many other GP practices, we have decided not to accept telephone requests for prescriptions in the interest of safety. This change will be effective from 1st June 2010. You may order your repeat prescriptions through the website (click on Repeat Prescriptions to the right of this message) or you can bring your repeat slip to the surgery and put it in the box in the reception lobby. Postal requests are also accepted. If you do not have your repeat slip, please provide a written request to include your personal details and items required. Repeat Dispensing For those patients on stable medication, we have a repeat dispensing system that allows six or twelve months of prescriptions to be sent to the chemist at one time. For further information, please refer to our prescriptions page and enquire at the desk if you are interested. By the 31st March 2017 you will need to order your repeat prescriptions via The Waiting Room (please see link 'The waiting room' on the right hand side of this page under further information) The above link will be turned off on this date and you will no longer be able to order your prescriptions via this method. This is to improve patient safety as the new system links directly with your medical record. In order to use this service you will need to provide us with your personal email address and produce some form of ID. You will then be sent your secure login details from 'The Waiting Room'. If you do not receive an email within 48 hours of providing us with your details, please check your junk mail as it is known to be found there. Remember you can still book appointments via this service. If you wish to give others permission to access your online account including ordering repeat prescriptions, booking appointments etc you will need to complete a 'Consent to Share Personal Access Form' and provide a form of identification. Please note that from the age of 11, children will have to complete the 'Consent to Share Personal Access Form' or will need their own email account. This is a National decision made by the Department of Health and one which we have no influence over. (Forms can be found under the link to the right hand side of this page 'The Waiting Room' Further Information). Alternatively, your prescription has a tear off slip with your repeat medicines listed - tick the box by the medicine you need and either put it into the box provided in the reception lobby or post it to us. In line with many other GP practices, we do not accept telephone requests for prescriptions in the interest of safety. Exceptions can be made for patients who are unable to do either of the above. 72 hours notice is required for repeat prescriptions. This allows 24 hours for the prescription to get to the pharmacy and 48 hours for them to dispense your medication. If you would like the prescription to be posted to you please enclose a stamped addressed envelope. The Well pharmacy in Yelverton and Boots chemist in Tavistock provide a collection service whereby they collect prescriptions from the surgery daily. This enables you to collect your medication straight from the chemist. Due to an increase in workload, pharmacies now require 48 hours from the time they receive the prescription to dispense your medication. Therefore we ask that you allow 72 hours between ordering your prescription and collecting your prescription from the chemist. You may be asked by the Pharmacist to complete an authorisation form, confirming that you give consent to the chemist to collect your prescriptions. No prescriptions will be sent to the Pharmacy without this written consent. As there is no chemist in Princetown medicines can be obtained direct from either Yelverton or Princetown surgeries. Please advise your preference for collection so that we can keep our computer records up to date. Prescription charges will be collected in the usual way. Please allow 72 hours for repeat prescriptions. From 1st April 2019 prescription charges will rise to £9.00 per item. You may be exempt, depending on your circumstances. You can buy a pre-payment certificate lasting 3 months for £29.10, or 1 year for £104.00. For more information call 0300 3301341 or apply on-line at www.nhsbsa.nhs.uk. Yelverton Surgery is now able to accept Credit and Debit card payments. Repeat dispensing is a new way to manage your repeat medication and aims to reduce wastage and improve patient convenience. When patients currently need to re-order their repeat medication, they contact the surgery, request medications and then wait 48 hours for the prescription to be generated and signed. When a patient consents to repeat dispensing, a batch of monthly prescriptions for up to 12 months are issued at once and held at a pharmacy chosen by the patient. When further repeat medications are needed, the patient simply arranges to collect the medication from the pharmacy. If the patient rings the pharmacy in advance, the medications should be dispensed ready for collection. If you would like to use repeat dispensing, please ask the receptionist and a request will be given to your usual doctor so they can check that your medications are suitable. Why are my prescriptions for 28 days at a time? 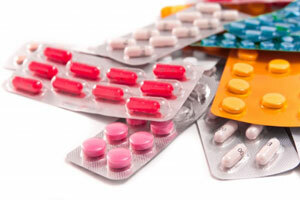 The Department of Health recommends prescriptions are issued at 28 day intervals to reduce waste. If you have a reason for not having 28 day prescriptions please telephone the surgery to discuss. Can I take my prescription to any pharmacy? All batch prescriptions must be dispensed from the same pharmacy. You can choose a pharmacy that opens late or at weekends which you may find more convenient. I pay for my prescriptions. Will this service cost me more? No. If you pay for your prescriptions the same charge per item will apply for each item dispensed. If you are regularly prescribed three or more items per month, it is cheaper to purchase a pre-payment certificate. For further information on pre-payment certificates visit: http://www.nhsbsa.nhs.uk/1127.aspx. What happens if I need a one-off prescription? If your doctor gives you an acute prescription (e.g. for antibiotics) at a consultation, you can take this to be dispensed at any pharmacy in the usual way. I will be on holiday when my next prescription is due to be collected from the pharmacy. What do I do? Before going away, discuss this with your pharmacist. It is at the pharmacists discretion when the batch prescriptions are dispensed and they can issue your medications early in circumstances such as this. What happens when all the batches have been dispensed? The pharmacist will let you know when the last prescription has been dispensed. 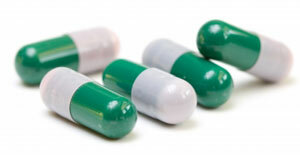 You should then get in touch with the practice to request your medications. The surgery will advise you on whether you need to be reviewed by a doctor or have routine blood tests or monitoring and arrange an appointment. If no review is needed, further batch prescriptions will be sent to the patients chosen pharmacy. Is the surgery dispensary offering this service? Repeat dispensing is only available at community pharmacies. Unfortunately, patients who have their medications dispensed in the surgery dispensary will not be eligible for this service. Errors in patients’ medications can occur at any stage of the dispensary process; prescribing, labelling, dispensing and administration. This year we decided to carry out a safety audit to ensure all staff in the dispensary are following the Standard Operating Procedure for assembling, labelling and bagging of all items dispensed. The audit was carried out during the 2nd week in March. Please click on the link below to see the full report.